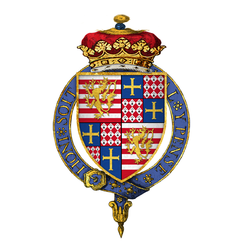 Henry Brandon, 1st Earl of Lincoln was the youngest child and second son born to Charles Brandon, 1st Duke of Suffolk and Mary Tudor, Queen of France, who was a daughter of Henry VII, King of England. Thus Henry Brandon was nephew to King Henry VIII. His older sisters were Lady Frances Brandon and Lady Eleanor Brandon. Henry Clifford, 2nd Earl of Cumberland was a member of the Clifford family, seated at Skipton Castle from 1310 to 1676. 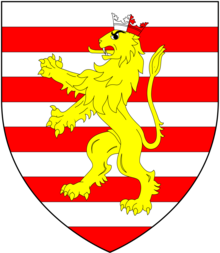 His wife was Lady Eleanor Brandon, a niece of King Henry VIII. 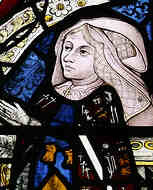 Margaret Wotton, Marchioness of Dorset was the second wife of Thomas Grey, 2nd Marquess of Dorset, and the mother of his children, including Henry Grey, 1st Duke of Suffolk, with whom she engaged in many quarrels during his minority over money and his allowance. 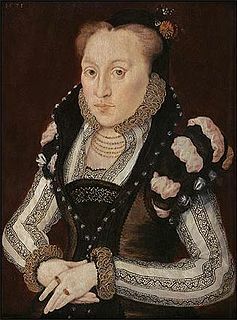 Her lack of generosity to Henry shocked her peers as unmotherly, and inappropriate behaviour toward a high-ranking nobleman, relative of King Henry VIII of England. In 1534, she was compelled to answer to the charges that she was an "unnatural mother". Sir Thomas Brandon, of Southwark, Surrey, and of Duddington, Northamptonshire, KG was an English soldier, courtier and diplomat. Sir William Brandon, of Wangford in Suffolk, was an English landowner, administrator, soldier, courtier and politician. His grandson was Charles Brandon, 1st Duke of Suffolk, a courtier and close friend of King Henry VIII.